In January 2018, Mayor de Blasio announced a 10-year plan to close the Rikers Island Jail Complex and transfer its reduced jail population to new jails close to courthouses within the boroughs and nearer to the detainees’ families and attorneys. The plan followed upon the well-respected findings of the Independent Commission on Criminal Justice and Incarceration Reform, known as the Lippman Commission, whose 2017 report, “A More Just New York City,” condemned the conditions under which New Yorkers are held at Rikers Island. It advocated for reducing the city’s jail population through criminal justice reforms and creating safer and more humane jails, recognizing as well that 80% of those held in city jails have yet to be convicted of a crime. 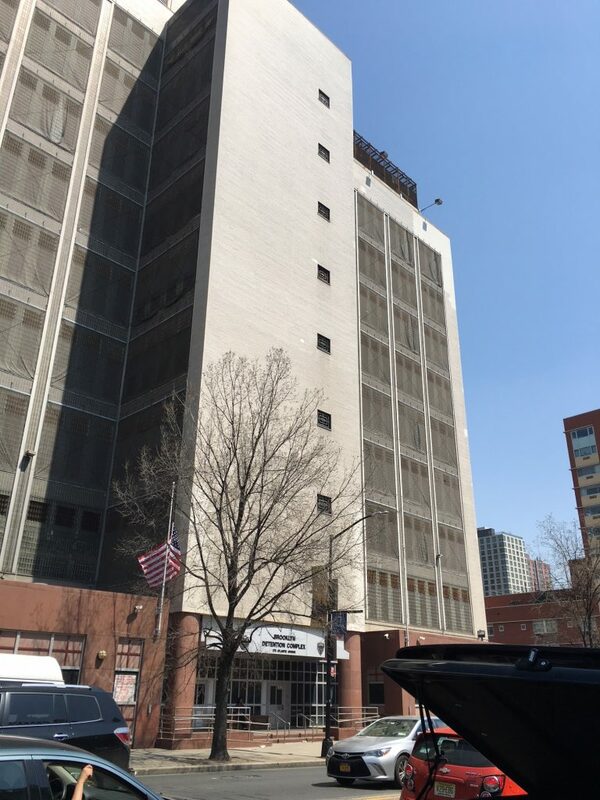 The new Brooklyn jail would replace the existing Brooklyn Detention Center (275 Atlantic Avenue) at the juncture of Boerum Hill, Cobble Hill and Brooklyn Heights. Built in 1957, the BDC has a capacity for 800 detainees and is outmoded by modern prison standards. Following the Mayor’s January announcement, Brooklyn’s local stakeholders, among which are the Brooklyn Heights Association, the Boerum Hill Association, the Cobble Hill Association, and the Atlantic Avenue Betterment Association, fully expected the Mayor’s Office of Criminal Justice (MOCJ) to meet with the local communities and constructively engage with them in planning the new system. In March, the stakeholder coalition sponsored a Town Hall Meeting at which elected officials and representatives of the Lippman Commission addressed the Commission’s report. No City officials came to the meeting. It was not until August 9th that MOCJ officials invited the local stakeholders to a stakeholder presentation, only for us to hear that the City was releasing on August 15th the Draft Scope of Work for a borough-based jail system to initiate the plan’s mandated environmental impact assessment. Given the short notice, it meant there would be no opportunity for the affected communities to help shape the plan to create four new jails, one in each borough except Staten Island, and each housing up to 1,510 detainees. The Concerned Neighbors of the Brooklyn Detention Center, the name under which the coalition operates, objects to the utter lack of community engagement in the formulation of the plan. Furthermore, we have deep concerns about the gargantuan scale of the new jail, which at 1.4 million gross square foot on a 60,000 SF site, is the equivalent of a Floor Area Ratio of at least 20. This makes it larger than the 18 FAR proposed for the 80 Flatbush Avenue Project that has been the subject of intense community opposition in recent months. The enormous size of the facility reflects not only a doubling of jail capacity at the site, but the space needed for a large number of civilian employees to provide medical and mental health services, education and re-entry counseling programs, and other supportive services, as well as reception areas for families, attorneys and other visitors. It is important to emphasize that the coalition is fully supportive of the need to close Rikers Island and to have safer, state-of-the-art jails, with supportive services. We accept placing a new jail at 275 Atlantic Avenue. However, the proposed jail is simply too large for the site, and will impose considerable adverse impacts on the local communities with respect to traffic congestion, parking issues, shadows, and air pollution, among others. The plan is also silent with regard to the need for a training facility for correction officers to ensure that the culture of brutality within the jail system is also reformed, and that the problems that beset Rikers Island are not transferred to the new jails. More importantly, we have a fundamental objection to being ignored by the planning process. As the position statement we have crafted indicates, we call for a halt to the planning process to afford communities in each of the boroughs the opportunity to engage in a meaningful way in the planning process and for the de Blasio Administration to respond to their concerns in good faith. We specifically call upon the City to consider having two new jails in each of the four boroughs, reducing the size of the current planned jail, and having one new jail on Staten Island. A scoping session for the Brooklyn facility has been scheduled on September 20th.